Office 2.0 Reviews: Free the Chatter! Chatter is FREE! 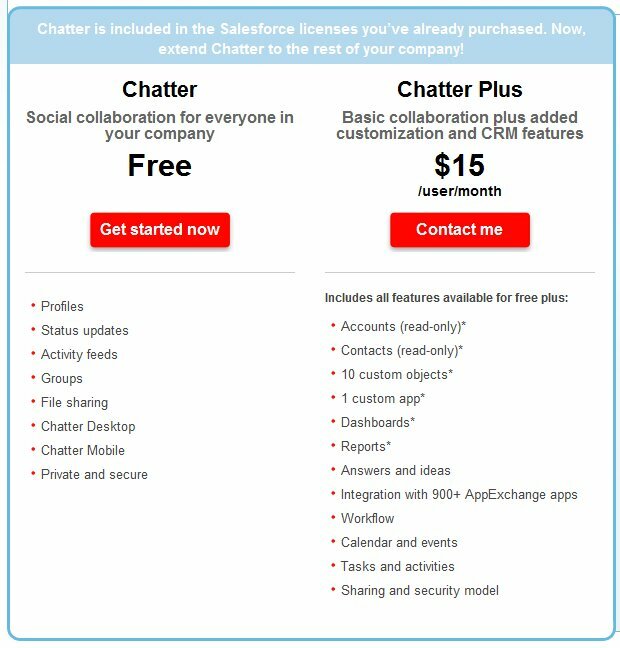 A few months ago I wrote a post about Salesforce's new Chatter service and how Salesforce is being unreasonable charging money for this feature that should be a draw.. Well, as of today basic Chatter service is free as it should be.. This is going to serve Salesforce well as it provides a stepstool for getting onto the CRM train (how's that for a metaphor? )!